To ensure there is smooth operations of the daily routine work to be carried out without any major hurdles and to ensure that all the external clients are served well for the requirements and the internal clients too are responded to and served well to carry on the daily operations. All these need to be carried on within the defined policies and procedures of the organization. 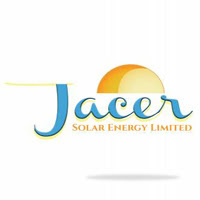 Candidates should submit their CV and copy of Academic Certificate by deadline date 30th July 2018 through online to jacersolar@gmail.com. your email should contain a cover letter.